“Purple Day” for epilepsy: Think Drink? Think Drugs? Think Seizure! 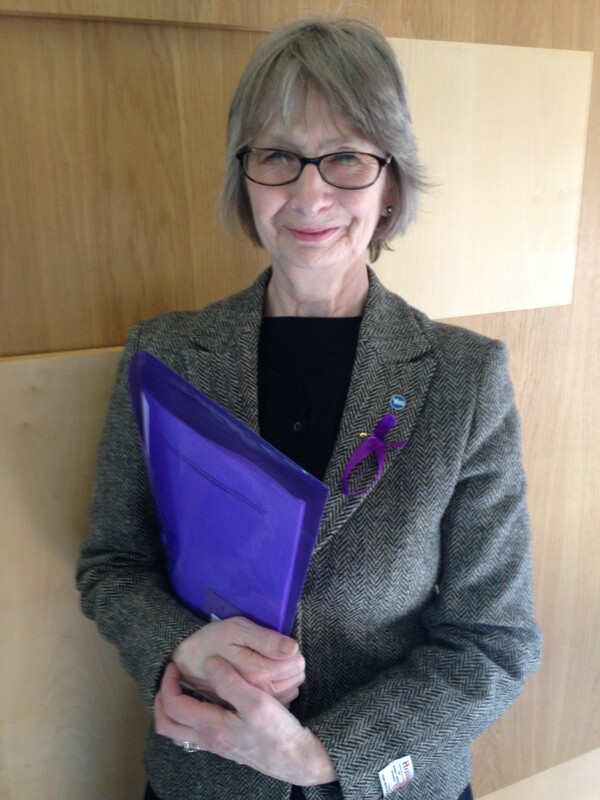 Jean wearing her purple ribbon (and sporting a purple folder!) for Purple Day. Jean is wearing a purple ribbon today to mark international ‘Purple Day’ for epilepsy awareness. Epilepsy Scotland supporters across the country are also wearing purple and organising fun purple-themed events in schools and workplaces, and landmarks like McCaig’s Tower in Oban, the SSE Hydro in Glasgow and even the sheep at the Pyramid Business Park on the M8 are turning purple for the day. This Purple Day, Epilepsy Scotland are urging Scots to “Think Drink, Think Drugs, Think Seizure” – to be aware that people who look as if they are drunk or on drugs may in fact be having an epileptic seizure. The charity has produced a simple guide on providing first aid for a seizure. “I’m supporting Purple Day because epilepsy is such a common condition yet many of us still know little about it. Hundreds of Highlanders and Islander, including over 200 children in the NHS Highland area alone, have epilepsy. “Purple Day is a great way to get people talking about epilepsy, which is essential because just a little knowledge about the condition could save a life. As with so many medical conditions, there’s also a social stigma – even a fear – that needs to be broken down through greater public understanding. 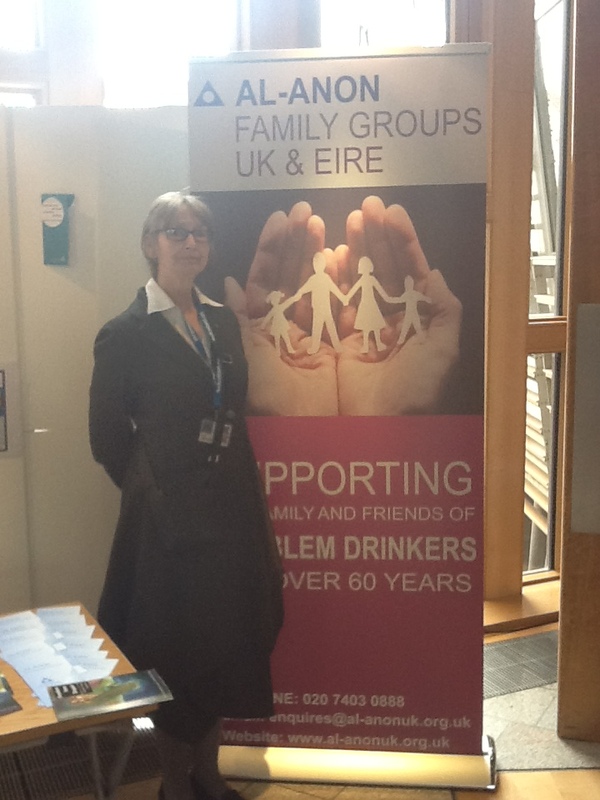 Jean is a member of the Scottish Parliament’s Cross-Party Group on Epilepsy, and has signed motions by Bob Doris MSP and Gil Paterson MSP supporting Purple Day. Jean is urging people with personal experience of mental health problems to take advantage of a free two-day event at the Dunblane Hydro to build a social movement against stigma. 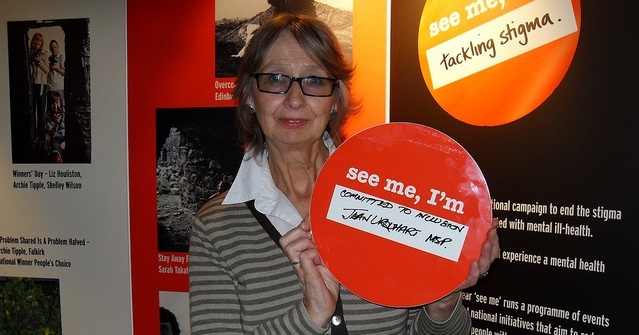 ‘see me’ – Scotland’s national programme for ending stigma and discrimination against people with mental health problems – is hosting the landmark two-day event on 3 and 4 April 2014. The event, which is expected to attract over 180 participants from all over Scotland, is designed to give participants the chance to get involved, have their say, share ideas and help set the key themes for the next three years to further tackle stigma and discrimination in Scotland. call 0131 516 6819 or 0141 530 1111. The closing date for applications is 5pm, Monday, 17 March 2014. The event aims to attract people with personal experience of mental health problems, those who are close to or care for someone with mental health issues, those who work professionally in the field, and people who work with young people and employers. Free accommodation at the Dunblane Hydro is being provided, and support is available for travel costs, so that no-one should be excluded from taking part. Keynote speakers will include Minister for Public Health Michael Matheson MSP and ‘see me’ Director Judith Robertson. “Mental health problems are very common – one in four of us will suffer from one this year. Despite that, having mental health issues still often means facing misunderstanding, stigma and discrimination. “I’m right behind ‘see me’ and the work it does to put an end to that. “This event is a great opportunity for people with direct experience to get involved. Free travel and accommodation mean that this will be so much more accessible to a wide range of people – especially in the north – than events in the central belt usually are. ‘see me’ is Scotland’s national programme to end stigma and discrimination against people with mental health problems. The ‘see me’ programme is supported by a joint investment of £4.5million over three years from the Scottish Government and Comic Relief and works collaboratively with a range of partners including the Mental Health Foundation, Scottish Association for Mental Health, Voices of Experience, Scottish Recovery Network, Highland User Group, and the Mental Health Co-Operative. Stigma is an issue of basic human rights and can have an impact on people’s recovery from mental health problems. The most common situations where people with lived-experience face stigma and discrimination are: by friends and family; in employment/at work; within the local community; within mental health or other health services. These are also the situations where people are most likely to have disclosed their mental health problems. 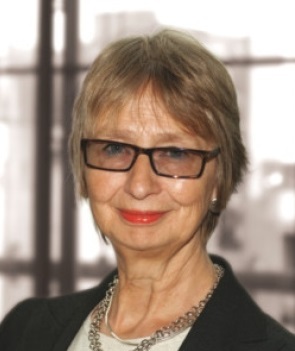 Jean has proposed an inquiry into how the United Nations Convention on the Rights of the Child (UNCRC) could be enshrined in Scots law. She’ll be arguing for the amendment to the Children and Young People Bill in its final debate at Holyrood tomorrow. If backed by MSPs, Jean’s amendment will require the government to set up a body to investigate whether the UNCRC should become part of Scots law, as is already the case with the European Convention on Human Rights (ECHR). The UNCRC demands that decisions about children always put their best interests first. 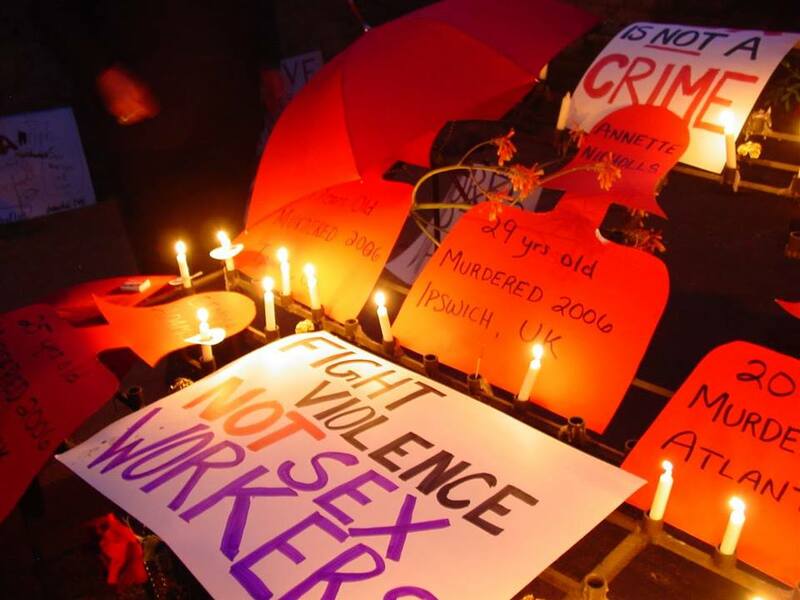 It enshrines a number of specific rights, including the right to an education, the right to a family, and the right to be protected from violence. “We’re currently engaged in a debate about the kind of country we want to be, and what kind of future we want for all our citizens. I think we should aspire to be the kind of country that always puts our children – our future – first. “Enshrining children’s rights in Scots law would be a powerful protection for our kids, and a bold signal of our ambition to make Scotland the best place in the world to grow up in. The United Kingdom ratified the Convention in 1991, as have 192 other countries. Somalia, South Sudan and the United States are the only UN members not to have done so. 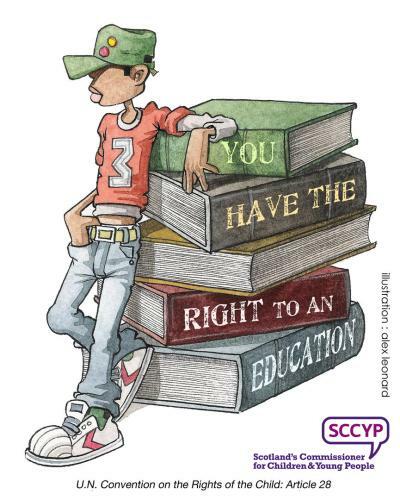 Unlike the ECHR, the UNCRC does not give individual children any way to take action if their rights are breached. Bringing the UNCRC into Scots law would enable Scottish children to go to court here to defend their rights. The Welsh Assembly has moved towards legal recognition of the UNCRC, and from 1 March the devolved Welsh government will be bound by the Convention. The Scottish Parliament, with its greater powers, has the opportunity to be the first part of the UK to incorporate the Convention into law in full. Bringing the UNCRC into Scots law is supported by UNICEF, the Scottish Human Rights Commission, Scotland’s Commissioner for Children and Young People, the NSPCC, Children 1st, Barnado’s, YouthLink Scotland, the Scottish Youth Parliament, Families Outside and Together. Jean has also backed the Bill’s provision of a ‘Named Person’ service, which will ensure every child in Scotland has someone they and their parents can turn to who can help them navigate the various public services and support available. The scheme has been in place in the Highland council area since 2010, and the new law will roll it our nationwide. “It’s a shame that the Named Person Service has been so misrepresented by media seeking to cook up a scare story. “Parents are tired of being passed from pillar to post, never talking to the same person twice, and having to tell their story over and over again; they want joined-up services. “The named person scheme means that every child and their parents have one person they can always call to help them navigate services, find advice, or be listened to. “Some people have suggested that named person service means appointing a social worker for every child. That’s not true. In the Highlands, we already have the named person scheme and the people appointed are the local midwife and health visitor until the child goes to school, and then it’s the headteacher or deputy head. “Named Person has been in place in the Highlands since 2010. I was a Highland councillor until 2012, and have been a Highlands and Islands MSP since 2011, and I’ve never received a single complaint about a named person interfering where they weren’t wanted. Rolling out the named person scheme across Scotland is supported by Barnado’s, Children 1st, Parenting Across Scotland, One Parent Families Scotland, the NSPCC, Aberlour, the Scottish Youth Parliament, Action for Children, Quarriers, Royal College of Nursing and the Scottish Childminding Association. (1) Within one year of this Act receiving Royal Assent, the Scottish Ministers must by order establish a body to consider whether the UNCRC should be given legislative effect. (b) indicating, on the basis of that report, whether they intend to give legislative effect to the UNCRC. (b) publish the statement in such a manner as they consider appropriate. Yesterday, I had the opportunity to meet with representatives from Walk the Walk to hear about how the Moon Walk is helping improve the lives of Scotland’s cancer population. The amount of good that Walk the Walk are able to facilitate through their grants system is truly astonishing. 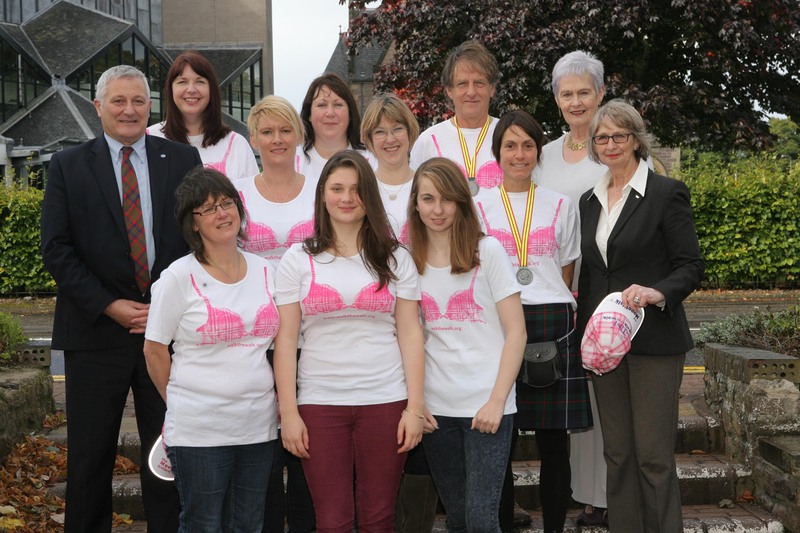 Over the last 6 years, the Moon Walk has raised over £15 million in Scotland- hopefully I can help add to that total when I take part next year! 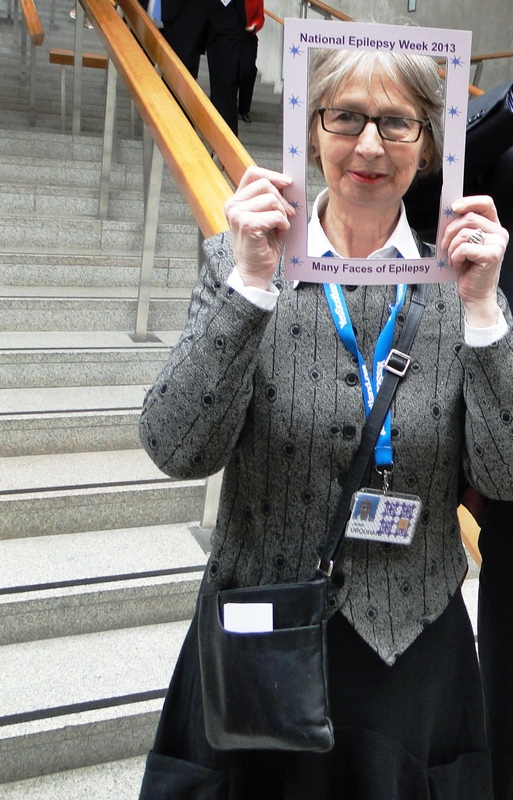 I am proud to be supporting Jim Hume MSP’s proposed Smoking (Children in Vehicles) (Scotland) Bill. It is anomalous that while workers have rightly been protected since the Smoking, Health and Social Care Act in 2005, children continue to be exposed to dangerous levels of smoke. In fact, I learned from Jim Hume’s briefing in Parliament that children with two parents who smoke commonly have the same level of cotinine in their saliva – a test for second-hand smoke exposure – as adults who worked in smoky bars prior to the 2005 Act. The Royal College of Physicians estimates that 25 children per day are admitted to hospital, and 600 per day have to see a doctor, as a result of second-hand smoke exposure. The Scottish Centre for Indoor Air studied children’s exposure to smoke in cars, and found that the air in a smoker’s car contained on average 8 times more PM2.5 particulate matter than the background level in urban areas of Scotland, or 28 times more than the level in the cleanest rural areas. The good news is that research with the children of smokers found that the vast majority did take precautions to try to reduce their child’s exposure, such as leaving the living room when smoking. This means that if we can get across the message that a car is a particularly dangerous place to expose children to cigarette smoke, we can expect that many smokers will willingly change their behaviour. This law will help us do that. Ben McKendrick from the British Heart Foundation has also pointed out that as well as 84% of the general public supporting the measure, as do half of smokers. I think this is an important and common-sense proposal that could help protect the health of thousands of young people, as well as helping to move us towards a smoke-free Scotland. I’ve told Jim that I am fully behind his proposed bill, and happy to help him get it into Parliament and then into law. 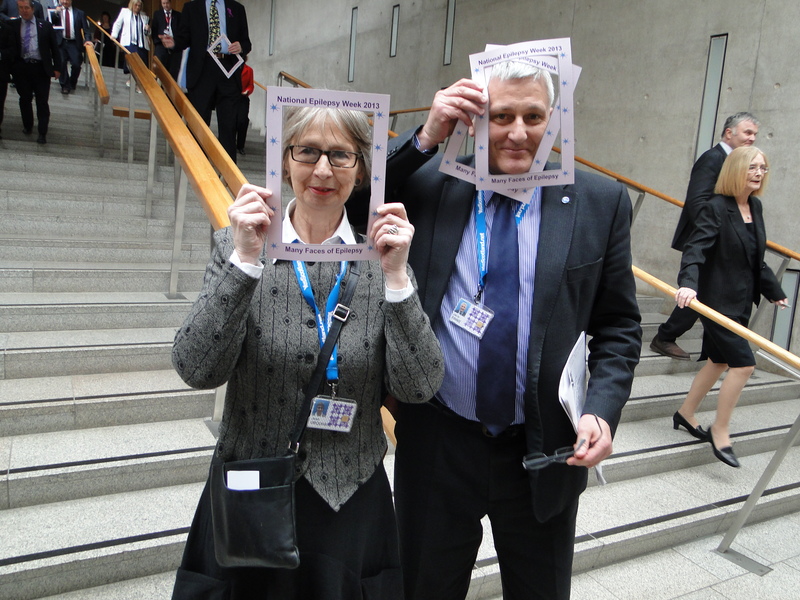 Last week I took part in a photocall organised by Epilepsy Scotland to mark National Epilepsy Week. As a member of the Cross-Party Group on Epilepsy, I’m becoming more and more aware of the issues affecting Scots with epilepsy and the great work being done by so many in helping to research and raise awareness of the condition. 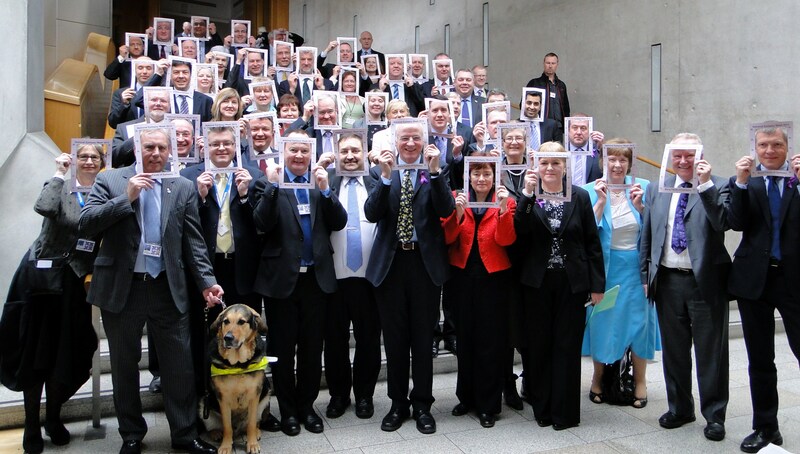 It was great to see so many fellow MSPs take part and to touch base again with Epilepsy Scotland, who are a credit to their cause. I was pleased to visit the Al-Anon stall in Holyrood this week. Al-Anon offers on-going, open ended, non-judgemental support to people affected by someone else’s drinking, whether or not the drinker recognises that a problem exists. This may result in raised self esteem, leading to greater recovery in the whole family .